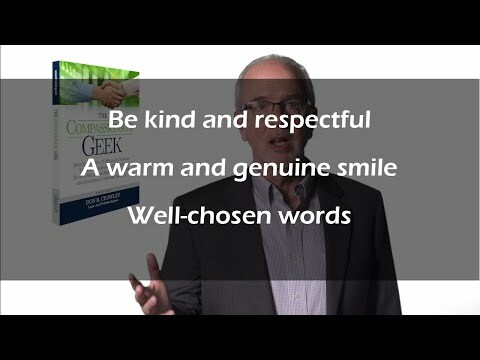 In this Business English lesson plan for adults, students watch a video about how to end a call, conversation, or visit gracefully. It includes discussion questions and conversation activities about reacting to proposals and ending phone calls. Students learn some important vocabulary terms related to these topics. For grammar, students do an activity on reported speech with say and tell. In the cooperation activity, students do a role play for ending a call. Don Crawley explains why it can sometimes be difficult to end a conversation without being offensive, and shares some tips on how to approach ending a call or a visit with someone who talks a lot. In this Business English lesson plan for adults, students watch a video about how to end a meeting. It includes discussion questions and conversation activities about ending meetings properly. Students learn some important vocabulary terms related to this topic. For grammar, students do an activity on the difference between each, every, all, and whole. In the cooperation activity, students can practice ending meetings. Liane Davey goes into detail about how you can end your meetings in the most effective way, and some tips how to carry out a successful closure. In this Business English lesson plan for adults, students watch a video about making concise points at meetings. It includes discussion questions and conversation activities about reporting progress, making points, and managing interruptions in meetings. Students learn some important vocabulary terms related to these topics. For grammar, students do an activity on the difference between due to, because of, thanks to, as a result, and therefore. In the cooperation activity, students can practice making points at meetings. 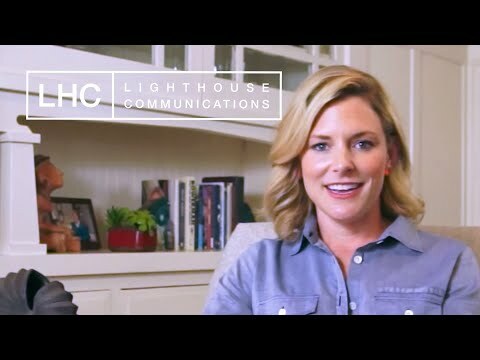 Anne Ricketts of Lighthouse Communications explains how to make points, and express your ideas and arguments clearly in meeting using a simple but effective formula. In this Business English lesson plan for adults, students watch a video of an example corporate meeting. It includes discussion questions and conversation activities about agreeing and disagreeing, starting a meeting, and expressing opinions. Students learn some important vocabulary terms related to these topics. Students also do some activities using the important expressions and phrases they learned from the video. In the cooperation activity, students can do an example role play of a meeting, agreeing, disagreeing, and expressing opinions. An educational video about a meeting between department directors about some important agenda issues. In this Business English lesson plan for adults, students watch a video about Calendly - a software designed to make appointment scheduling easier. It includes discussion questions and conversation activities about scheduling, confirming, rescheduling, canceling meetings and sending meeting reminders. Students learn some important vocabulary terms related to these topics. For grammar, students do an activity on the difference between either, neither, and both. In the cooperation activity, students can create a role play for scheduling meetings by email and phone, or write a script for a video. 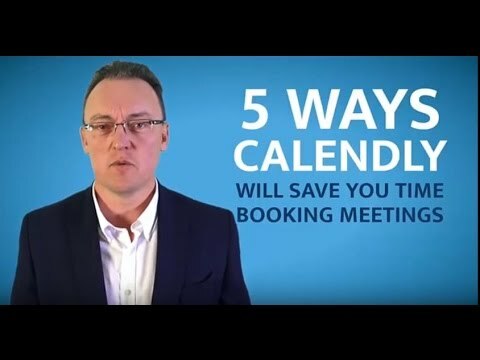 Learn all about Calendly - one of the hottest meeting scheduling softwares out there. In this Business English lesson plan for adults, students watch a video about how to make a meeting agenda and preparation for a meeting. It includes discussion questions and conversation activities about meetings and agendas. Students learn some important vocabulary terms related to these topics. For grammar, students do an activity on gerunds. In the cooperation activity, students can create a meeting agenda. 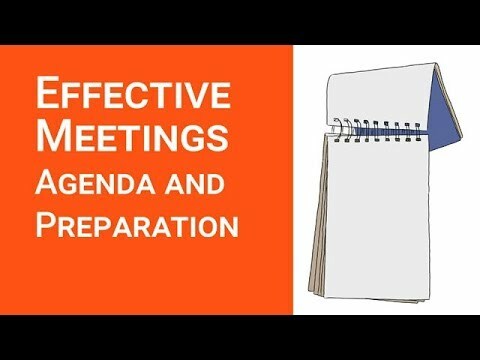 In this video, it's explained how exactly to create a good meeting agenda, what to avoid when planning for a meeting, and some tips on how to make your meetings more effective. 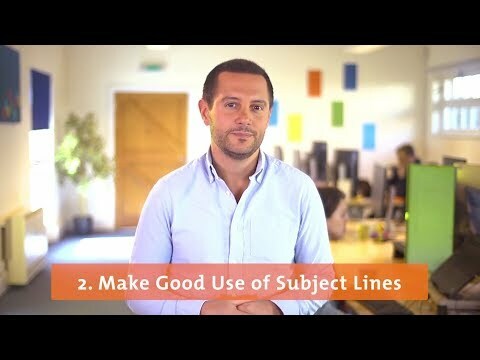 In this Business English lesson plan for adults, students watch a video about some steps for writing effective emails. It includes discussion questions and conversation activities about email writing topics with colleagues and bosses, as well as deadlines. Students learn some important vocabulary terms related to these topics. For grammar, students do an activity on how to use 'would'. In the cooperation activity, students can collaborate on an activity for writing subject lines for emails and then writing short, informative, and direct emails. MindTools presents some useful insight into how to form, write, convey, and communicate our ideas effectively using email. It's a valuable skill in today's modern age, and we write so many emails now at the office that it can be easy to get stressed out by it. In this Business English lesson plan for adults, students watch a video about email inquiries and how to respond. It includes discussion questions and conversation activities about email inquiries, email pros and cons, and polite and impolite language. Students learn some important vocabulary terms related to these topics. For grammar, students do an activity on the difference between adjectives ending in "-ed" and "-ing". In the cooperation activity, students can collaborate on an activity for writing FAQ's and responding to email inquiries. 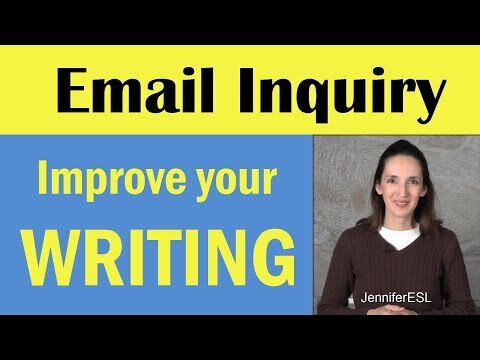 Learn how to write a great email inquiry response to your clients, which in turn will make a great first impression on them. As entrepreneurs, we are leaders for our clients and should know how to help them with their frustrations and problems. In this Business English lesson plan for adults, students watch a video about the main differences between a formal and informal email. It includes discussion questions and conversation activities about formal and informal email etiquette. Students learn some important vocabulary terms related to these topics. For grammar, students do an activity on the difference between "whether" and "if". In the cooperation activity, students can collaborate on two different activities for informal and formal email writing. 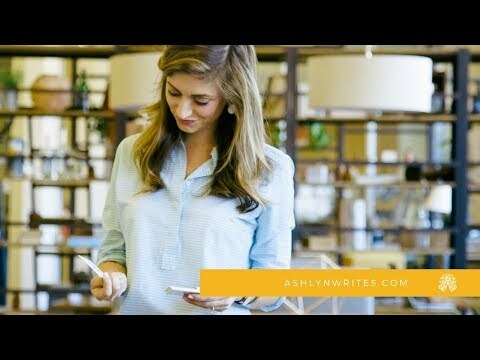 Faye de Muyshondt with Social Sklz teaches you the main differences between formal and informal emails and how to approach writing them. Along the way she gives you some helpful phrases, tips, and advice related to this topic. 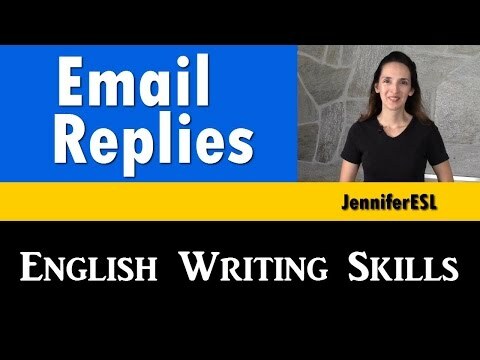 In this Business English lesson plan for adults, students watch a video about some tips on how to write an effective email. It includes discussion questions and conversation activities about the structure of emails and business email etiquette. Students learn some important vocabulary terms related to these topics. For grammar, students do an activity on verb patterns with verb + infinitives and verbs + gerunds (-ing). In the cooperation activity, students can collaborate on two different email writing exercises. 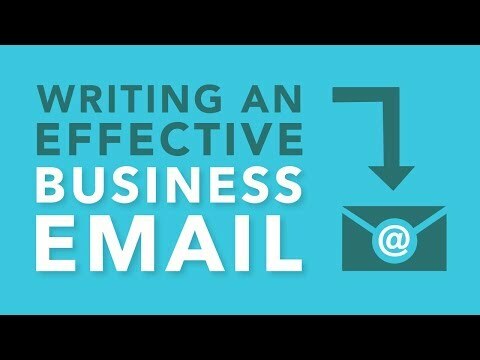 In this video, you get to learn some tips on how to make your email writing more effective, the structure of an email, formal greetings and closings, and how to convey your messages in a professional manner. In this ESL lesson plan for adults and teens, students watch a video about the Big White ski resort in Canada. It includes discussion questions and conversation activities about skiing, ski resorts, and winter holidays. Students learn some important vocabulary terms related to these topics. For grammar, students do an activity on conjunctions. In the cooperation activity, students can create a guide, make a review, or create a promotional video outline. Explore Big White ski resort in Canada and what makes this resort stand out from all the others. 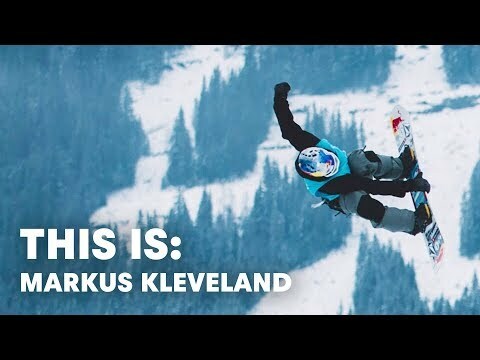 Marcus Kleveland is young but is already considered top talent in the snowboarding scene. Get to know a bit about Marcus while he shows you where he grew up, how he got into snowboarding, and some of his "gnarly tricks," flips, and rotations that he can do on a snowboard. In this ESL lesson plan for adults and teens, students watch a video about snowkiting. It includes discussion questions and conversation activities about skiing, snowboarding, equipment, & winter sports. Students learn some important vocabulary terms related to these topics. For grammar, students do an activity on articles and uncountable nouns. In the cooperation activity, students can leave a voicemail, make a social media post, or create cotent for a homepage. 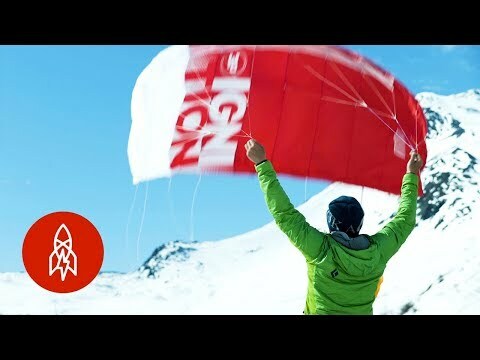 Snowkiting has become a big hit in parts of Alaska, and has been growing in recent years. The growth of the sport is due to the efforts of Tom Fredericks, who helped start the snowkiting legacy, established the first snowkiting school in Alaska, and organizes a snowkiting festival every year.